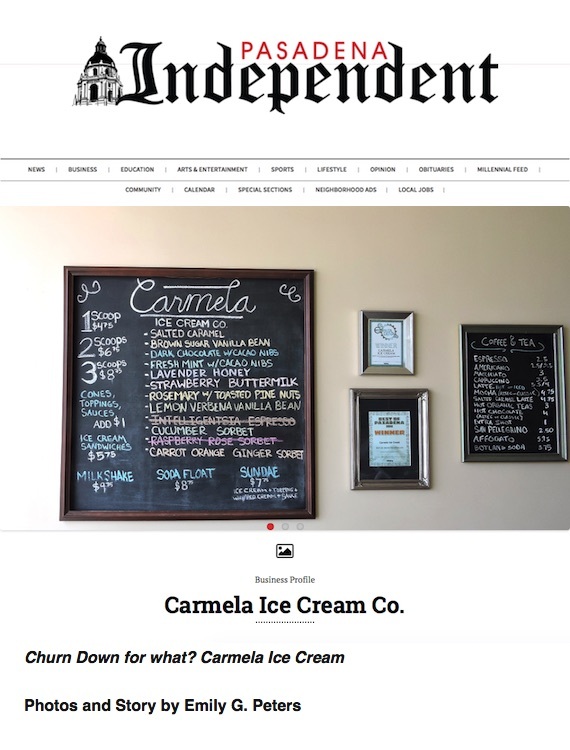 Pasadena Independent: Churn Down For What? "The Pasadena location is elegant, friendly and fragrant with the scent of toasted waffle cones. Homemade vanilla bean marshmallows and fudgy chocolate sauce are on hand for patrons looking to dress their pints in style. Buttery cookies, coffee, tea? It’s all here too. As one of the few artisanal ice cream shops to pasteurize their own ice cream bases, each element complements the effort she and her staff sink into their craft."